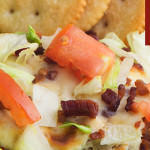 BLT is one of those familiar combinations that just makes my mouth water. Often times a BLT Sandwich is wonderful, but sometimes, I just want a little bit of a change. This creamy BLT Dip is perfect for entertaining, an appetizer, or even a late snack while watching a movie. It’s so quick to make and the flavors just melt together in this wonderful hot dip. 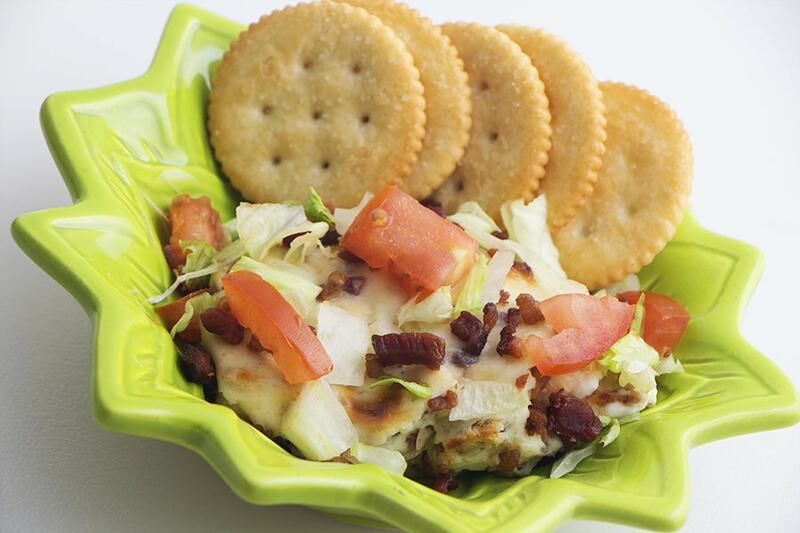 It’s difficult to guess the ingredients, other than the obvious of bacon, lettuce, and tomato, but each one adds to this wonderful dip. I used to think that all sour creams were the same – not even close! Have you ever done a taste test of different brands? I have, and I’m amazed and how much more rich and creamy a good brand is over a generic. I am a fan of Daisy Sour Cream. It’s thick, creamy and has a wonderful flavor. I also like it for baking. It doesn’t break down like generic sour cream does but adds the perfect texture that I’m looking for while enhancing the flavors. This recipe is pretty simple. 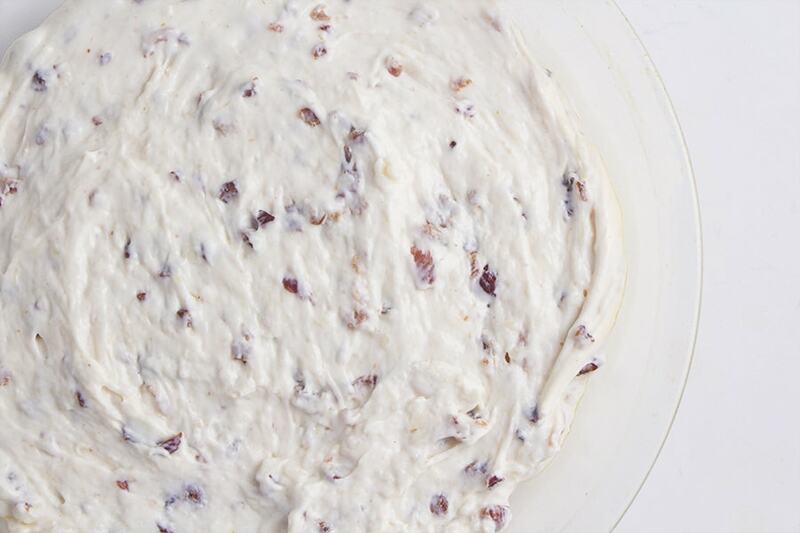 Start by placing the sour cream and cream cheese over low heat to melt together. 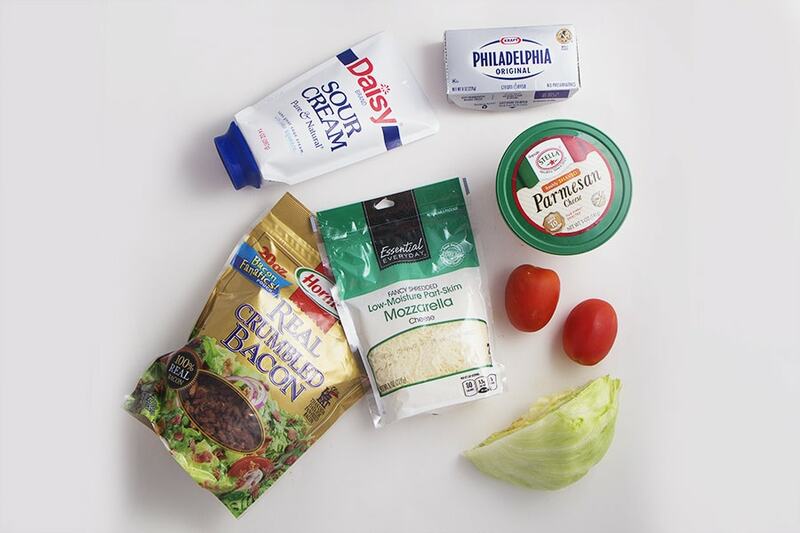 Add part of the bacon crumbles, mozzarella and parmesan cheeses and melt together. Place in an 8 inch pie plate and place in a 400F oven for 15 minutes or until edges are golden brown and bubbly. Top with lettuce, tomato and remaining bacon crumbles. Mmmmmm Mmmmmm Good! Serve with crackers or bread. You will love this appetizer that will soon because a meal all on it’s own. BLT Dip is loved by all ages. Give it a try and let us know what you think! In a medium sauce pan over low heat, mix together the cream cheese and sour cream. After its heated through, add 1/2 cup bacon, mozzarella and parmesan cheese. Melt cheeses together. Place in a greased 8 inch pie pan. Place in oven and bake at 400 degrees for 15 minutes until browned or bubbly on the edges. 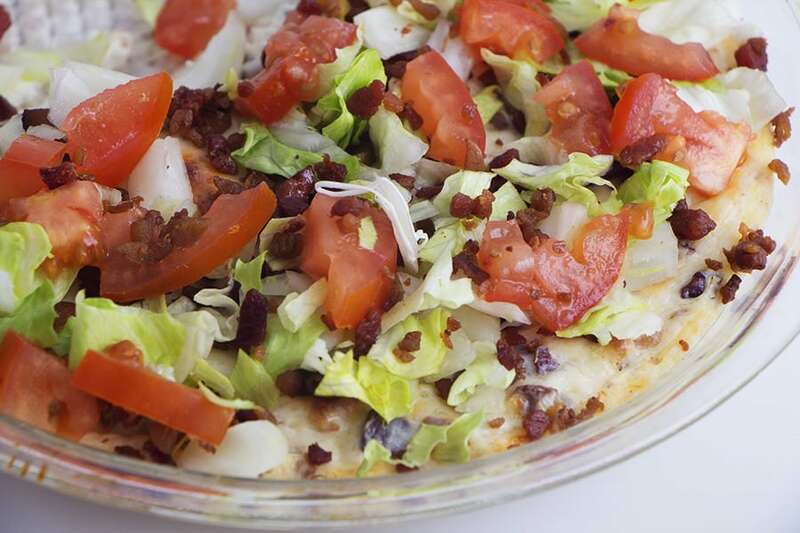 Removed from the oven, place the remaining 1/4 cup bacon, lettuce, and tomatoes on top.